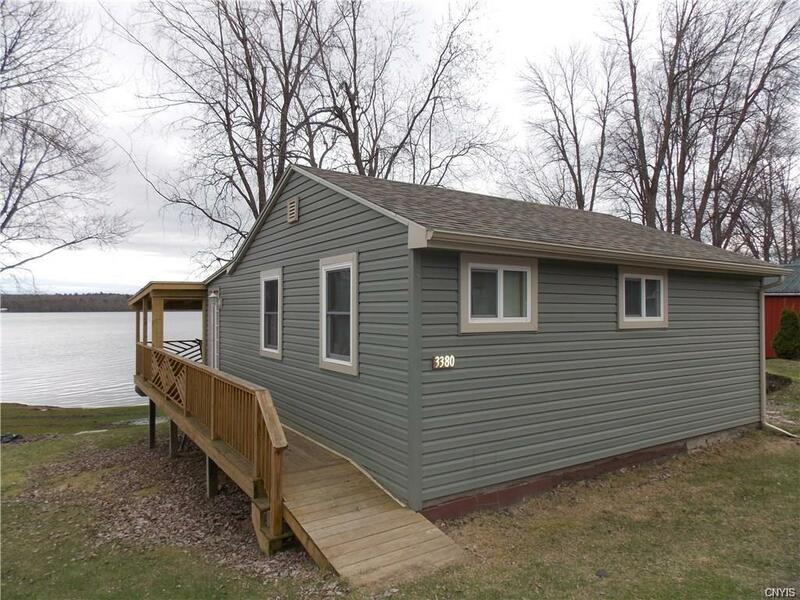 Welcome to Black Lake and all it has to offer with this 2 Bedroom / 1 Full Bath Cottage. The original owners lived at the home year round / Current Owners use as a seasonal Camp. Enjoy the tranquility sitting on the back covered deck listening to the waves hit the shoreline and the birds chirping. Fall in love with the AMAZING Sunrises. If you enjoy fishing this camp may be just for you. Cast from the shore and pull in a Large Mouth Bass, perch, crappie, sunfish to name a few. The camp has kitchen, living room, sitting room, sliding glass doors that lead to the covered deck, 2 bedrooms and a full bath. There is also a shed on the property that is used for the utility room and storage. New Roof, Vinyl siding, entrance ramp, covered deck. Don't wait because it wont last long.